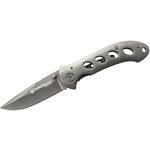 The Oasis by Smith & Wesson is a small folding knife that you can take with you for any job. With its 2.64" 7Cr17MoV plain blade, this knife is capable of any task. Features an all black finish. 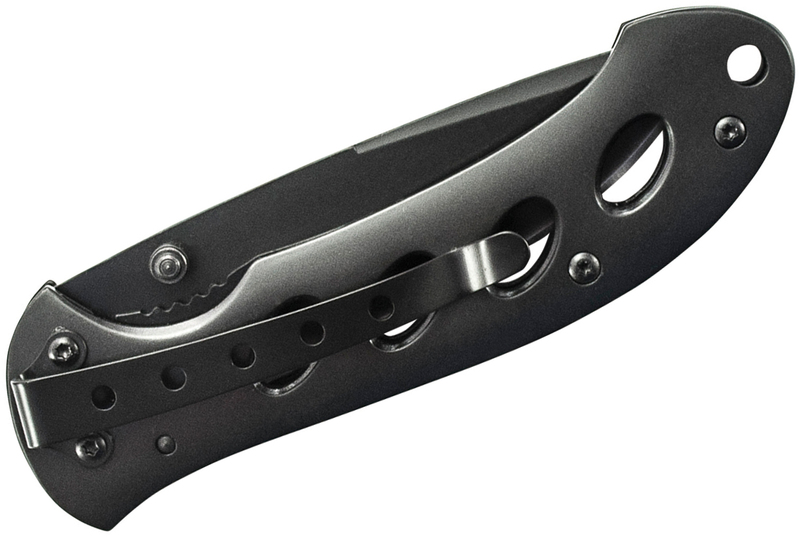 The skeletonized stainless steel handles make this a light carrying knife. Dual thumb studs make for easy open while the pocket clip allows for convenient carry. This is the only knife i carry all the time - i lost my old one that was just like it so this is the replacement. I have several knives but this one is my favorite. Stays sharp for a long time. good knife, well built especially for being made in china. all steel instead of aluminum handles which is good. overall good edc knife. Hey, I wanted to share "Smith & Wesson Oasis Folding Knife 3.13 inch Plain Blade, Black, Titanium Coated Stainless Steel Handles" with you from KnifeCenter.